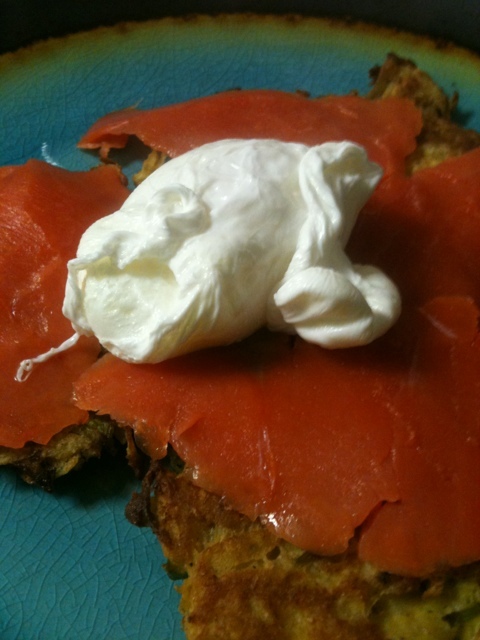 food: potato pancake with smoked salmon | eat. drink. fly. 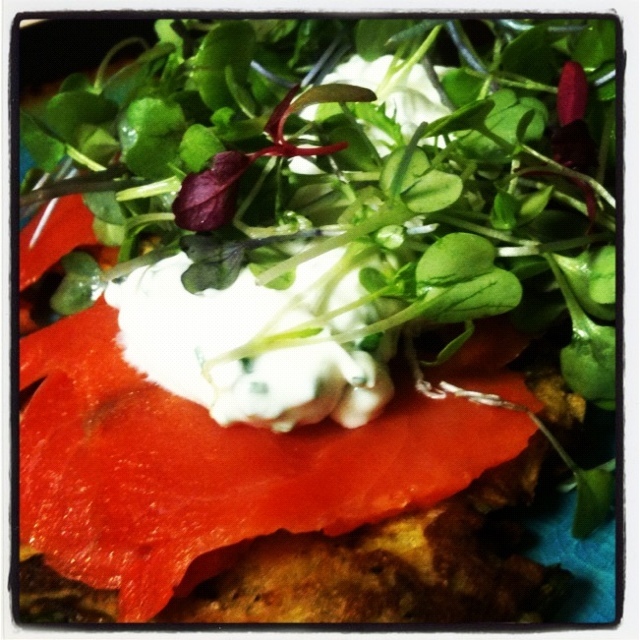 okay, so i’ve posted about this dish before, but on sunday we took it to new magical levels. 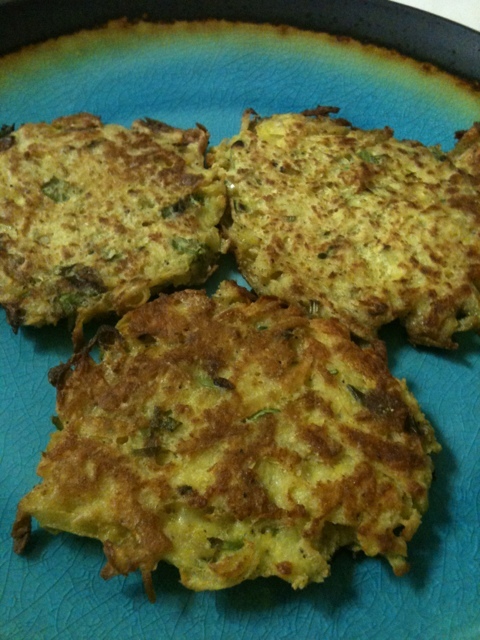 the potato pancake recipe that i used previous involved blending an onion and potato for the binder… but in this version, we simply grated a potato, squeezed out all the liquid and bound it with 2 eggs. we also added green onions and fresh chopped rosemary. the rosemary was a stroke of genius, if i do say so myself. of course, there was also salt & pepper. i fried them in butter and then let them continue to cook in the oven while i assembled everything else. 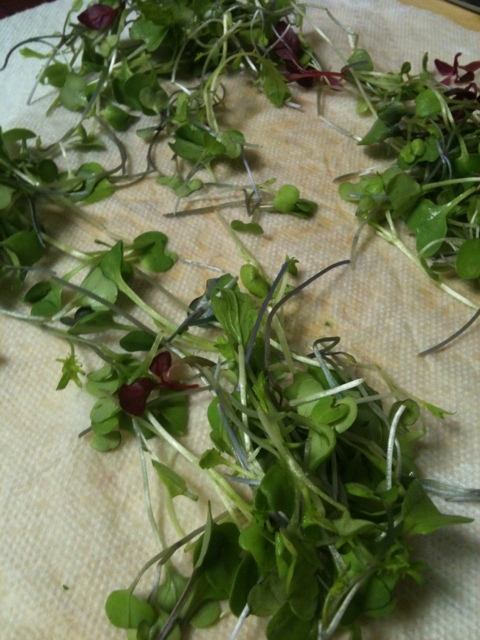 one of the things that i feel really *makes* this dish is the micro greens. i used to believe this was just some sort of fru-fru garnish that restaurants used to fancy stuff up… but when used properly, the make a lovely addition to the dish. they’re crunchy and fresh, but not too in-your-face about it. ah, the glorious smoked salmon. i’m a BC girl. i love this stuff. 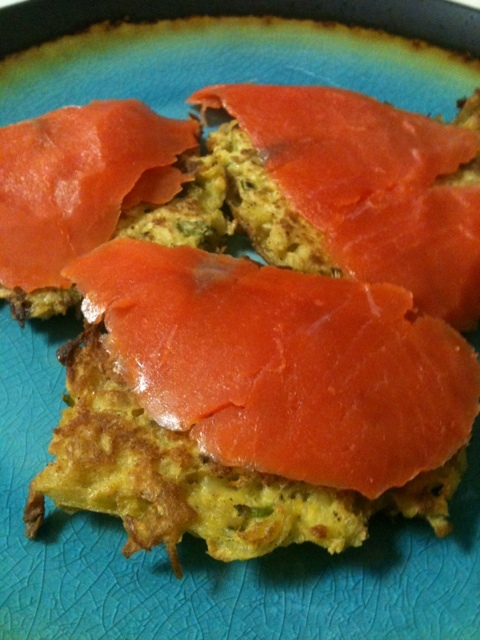 this is cold smoked, thick sliced wild BC salmon. the farm fresh egg, poached soft. extra soft. we buy eggs from a local farm and the yolks are so golden and gorgeous, they’ve renewed my love of eating eggs. free range and naturally fed chickens… happy chickens make happy eggs. my husband is an egg snob. he insists on these. i only eat one egg, my husband does his with two. 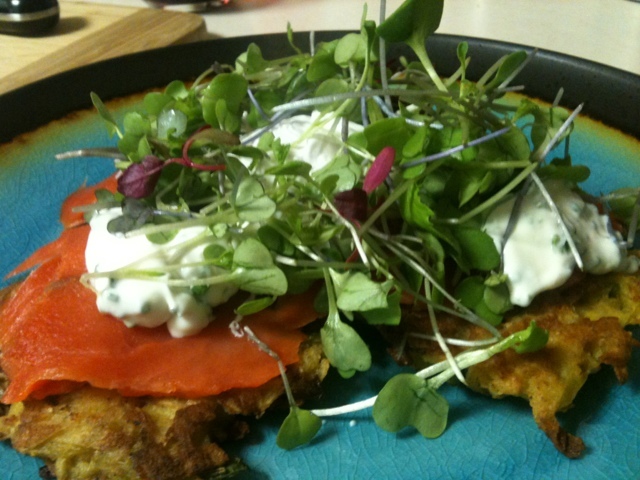 then we mixed up a little organic sour cream with some fresh cut chives and dolloped it on.